Junckers Hardwood — Radiant Design & Supply, Inc.
Radiant Design & Supply, Inc.
Wood floors and hydronic radiant heating are delightful. Yes, you can have hydronic radiant floor heating and hardwood floors. It is an excellent choice. 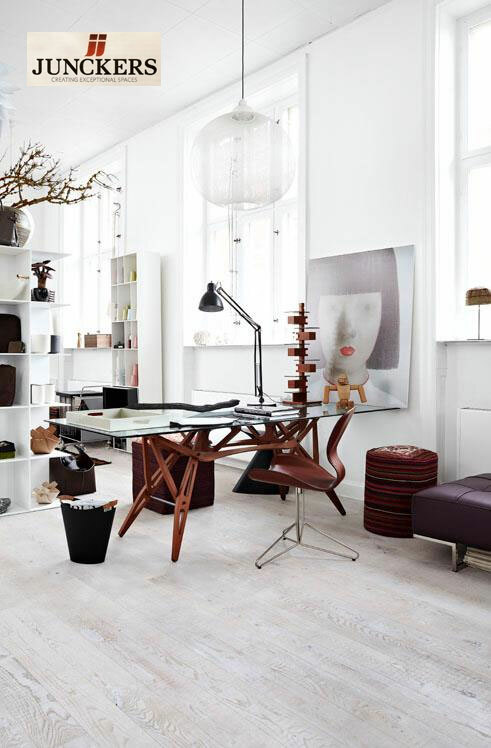 Flemming Juncker founded Junckers in the 1930's, and it is now Europe's leading supplier of solid wooden floors. 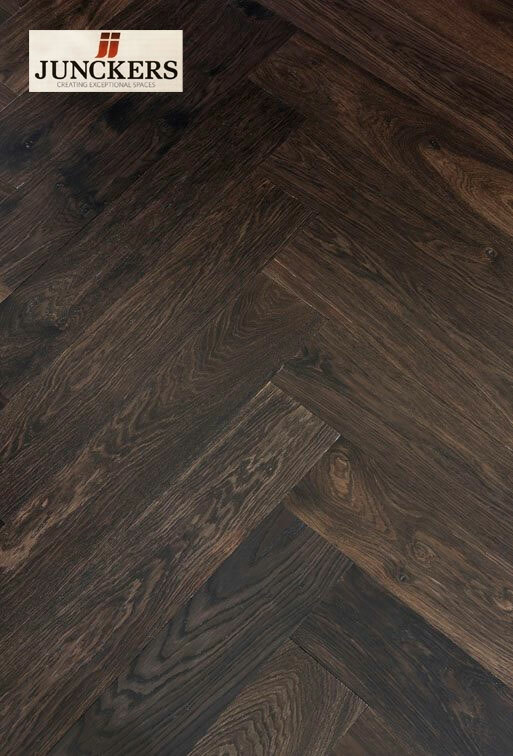 The high quality of Junckers Hardwood flooring is matched by the company's high standards to protect the environment and be as energy-efficient as possible. 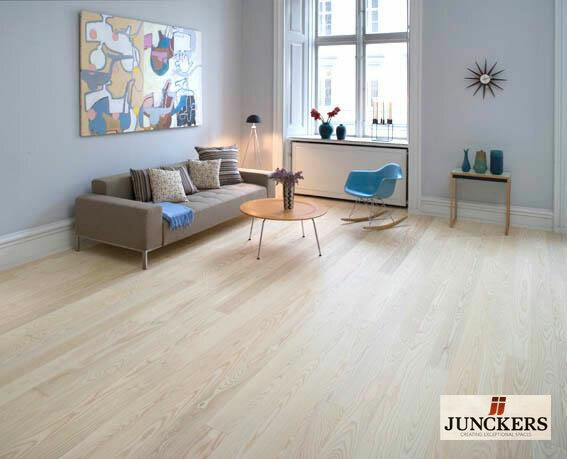 Junckers is a wood flooring company that recognizes the compatibility of wood floors and radiant floor heating. 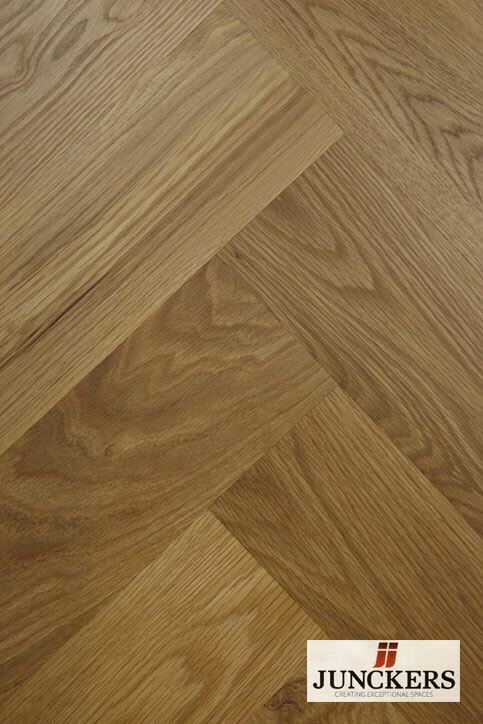 At the junckershardwood.com website, go to the Products tab and choose the flooring type. Junckers quotes per project. Note that on the above linked page, Junckers describes their system of solid wood floors and radiant heating they developed. 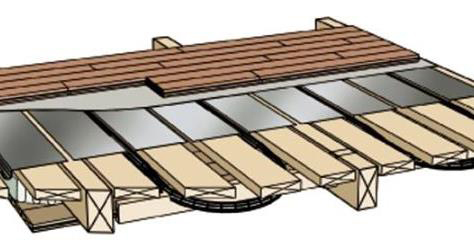 Junckers Ships Decking system with neoprene strips absorb movement in the floor. "... thanks to the controlled and consistent moisture content of our boards, this makes it the preferred choice for underfloor heating, as - unlike most tiles and stone - it is warm and comfortable with or without the system being on". Junckers wood floors are made to last. They maintain their beauty in spite of daily traffic. Excellent European craftsmanship and Junckers exceptional technology are world-renowned. Junckers evaluates their products constantly to not only create beautiful flooring, but to also produce the best solutions for the many demands of construction today. 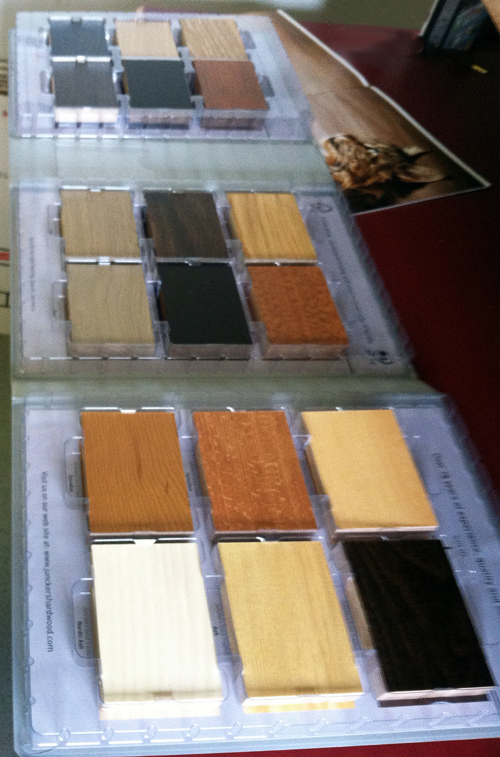 Junckers wood flooring is available in many colors. Above are a few samples. Junckers shows several diagrams like this on their website, illustrating radiant floor heating. "There is more than 70 years experience and expertise in a Junckers floor. Junckers’ floors are firm and stable due to the controlled low moisture content of our pre-finished floorboards." Q. At what point during construction should a Junckers floor be installed? A. Hardwood flooring should be the last item installed in the home. The lightweight concrete should be fully dry. All doors and windows should be installed and weather tight before installation. Kitchen cabinets should be installed prior to the hardwood floors. Environmental conditions should match living conditions as closely as possible with a relative humidity range of between 35–65% depending on local climatic conditions. Q . How long before installation of Junckers should the radiant system be turned on? A. Prior to the installation of your solid hardwood flooring, the heating system should operate for at least 2–3 weeks with the thermostat set at 70°F and then at 85°F for 2–3 days. During this period the home should be ventilated briefly each day to prevent a build-up of moisture that may occur during the drying process of the lightweight concrete. Q. What is the maximum surface temperature? Q. What should the moisture content of the lightweight concrete be before installation? A. Moisture content of the lightweight concrete must not exceed 1.5%, as determined by a Tramex concrete moisture meter. Q. Do the boards move or change size? If so, why? lower levels of humidity and the warmer summer temperatures bring higher levels. Heating and air conditioning may also have the same effect. As your floor will expand and contract primarily in the width, periods of lower humidity will cause a loss of moisture in the wood and may result in slight gaps between the boards. This is perfectly normal and once the humidity level rises, the wood will once again regain its moisture and the gaps will close. Q. If solid wood moves...? A. A commonly held belief is that engineered products do not move. However, they are fabricated from wood and have a tendency to expand and contract at the ends verses the sides. In addition, the cross plys found in engineered floors have a tendency to be effected by radiant heat and can fail. Face veneer products are prone to surface splits and cracks, whereas the ability of a Junckers clip floor to “float” and expand and contract in a uniform manner gives greater, long-term performance. Q. Can the movement of wood flooring be controlled? A. By adding humidifiers to the home, relative humidity can be maintained and seasonal changes minimized. In areas of the country that have very warm and humid summers, these humidity spikes within the home can be remedied or prevented by running the air conditioning. Q. What about acclimation of the wood? A. In general, acclimation is not necessary with Junckers floors when installed to Junckers specifications in most regions of the country, with few exceptions. If your home is located in a very arid area that may experience periods of humidity as low as 10% during the year, then you should acclimate your Junckers floor. To successfully acclimate, all boards must be removed from the packaging and placed “cross stacked” into the area where the floor will be installed. The period of acclimation will vary, however, as the days go by there are tests that you can perform to see if the floor is fully acclimated. During acclimation moisture is being removed from the boards, and as a result, the boards will contract in the width. Measure the width (face) of the board, if you get a reading below 128.8 mm, your floor is ready to be installed. You may also use a moisture meter to measure the moisture content of the boards. A reading of 6% or lower will also mean that your floor is fully acclimated. Q. What would be considered a low humidity climate? A. Junckers divides the country into four humidity zones. Only zone one (see Junckers Installation & Repair Instructions) requires that the material be acclimated to the home. This zone falls in desert and high altitude areas with very dry conditions and low relative humidity conditions that fluctuate between 10–30%. Q. Will area rugs, furniture, and bookcases interfere with the transmission of heat or the movement of the flooring? A. Areas covered by these items may retain some heat, and therefore may cause a slight change in heat transmission. Please note that these areas may also show slight gaps between the boards. Q. Should the radiant heat be turned on prior to the weather becoming very cold? A. Radiant heat should be turned on at low power in the Fall and gradually increased as the weather gets colder. This allows for a gradual change in the indoor environment. 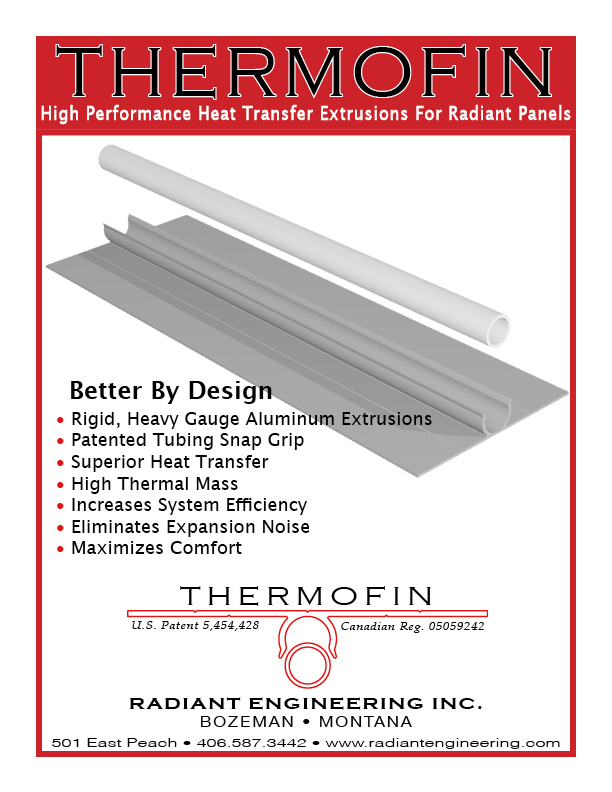 Radiant Design & Supply, Inc. (formerly Radiant Engineering Inc), in Bozeman, Montana, manufactures and supplies ThermoFin extruded aluminum heat transfer plates. We supply high performance boilers and all the components you would need for a hydronic radiant heating system. We specialize in radiant heating, energy conservation, solar energy, and technical assistance for contractors and do-it-yourself homeowners. Our services include mechanical system planning and consulting, mechanical system pre-fabrication, system troubleshooting and service, and hydronic system rehabilitation. Confused by all the heat transfer plates on the market? Read "Why ThermoFin" for a product comparison. © 2018 Radiant Design & Supply, Inc.